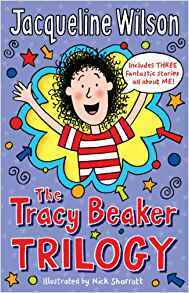 For all Tracy Beaker fans this volume combines three of Tracy’s best-loved stories: The Story of Tracy Beaker, Starring Tracy Beaker and The Dare Game. Tracy Beaker has become one of Wilson’s iconic characters. A television series arose from the books and another one, The Dumping Ground, followed on. The concept of The Dumping Ground is important to Tracey. It is a home for children whose parents cannot look after them. 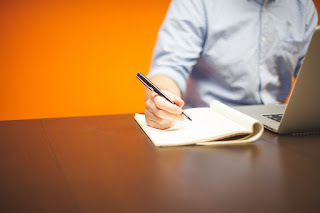 Though they are supported by caring adults, and they also support each other, the children lack the attention they would be given if they lived with their own well-functioning parents. Many of the children in the Dumping Ground are damaged and are gradually working through their issues. Tracey herself is no exception and her problems are quite severe. At times she is exceptionally naughty and shocking to normal parents. Some Mumsnet subscribers decided to ban the TV series and the books (Mumsnet 2013). We see Tracy make many mistakes but she gradually learns to take responsibility for her actions and to control herself to the extent that in the TV series, when she grows up, she actually takes on a role as a carer at The Dumping Ground. Tracy horrifies us at times and we may understand the Mumsnet stance. She “borrows” £10 form Cam and doesn’t see it as stealing. She also “borrows” a good pen from Cam. She fiddles with Cam’s locket that has a picture of Cam’s mother inside it. Tracy wants to put a picture of her own mother there. She manages to damage the locket in the attempt. Even worse, Tracy cannot see that she is wrong in her attitude here. She also thinks that Cam should be spending more money on her. Sadly, when Tracy’s mum does actually come back on the scene, Tracy interprets Cam’s reasoned reaction as indifference. As Tracy packs at Cam’s place to go and spend time with her real mum, her insecurity makes her quite cruel towards Cam. However, the good life is soon over. Mum is pale and the curtains must stay shut. The house smells of cigarettes and alcohol. Though Mum has a present for Tracy she claims she is not made of money. The dream begins to break. Mum become irritated with Tracy and leaves her home alone. Later she comes back with a strange man, forgetting Tracy will be on the sofa. Tracy overhears her mum say that she is funny looking. At breakfast Mum tells her she has the chance to meet a film producer. Tracy understands that she is lying. She steals some money and runs away. Football dares her to take her knickers off and hang them on the fir tree outside. Sometimes the naughtiness gets out of hand. She, Alexander and Football almost set fire to an abandoned house because they get mad as their parents don’t want them. Alexander gets hurt. Tracy is frequently antagonistic towards the other children. Fellow resident Justine helps with interviewing children who live at the Dumping Ground but finds operating the tape-recorder difficult. She is scathing. She admits that she can become violent when the others tease her if she says her mum is a Hollywood star. Tracy is acutely self-aware and presents the readers with truths that may be difficult to accommodate. Yet she continues to dream about her mum becoming rich and famous and that she will come to fetch her. She becomes so obsessive about this dream that she almost gives up good reality e.g. a trip to MacDonald’s with journalist Cam. Is Wilson warning her readers off grandiose dreams or is she suggesting a practical means of being happy? However, when Tracy “downsizes” her dream to that of Cam fostering her she encounters other obstacles. Cam claims her flat would be too small and we sense that she is not too keen on this idea. There is some mitigation. When Tracy’s punishment for fighting with Justine is to clean the whole of the Dumping Ground, the others rally round had help her. She gives a marvellous interpretation of Scrooge in the Christmas play. However this is spoilt; her mother is not there. A bouquet arrives- supposedly from her mum. Tracy complains that the writing on the card isn’t her mother’s but Cam explains how flower deliveries work. We suspect that Cam may have sent it all up. Tracy describes the miserable Christmas she would have in the Dumping Ground. She and Cam decide to join forces. Tracy does not yet realise that this is a solution that could lead to happiness.